* Smaller figure indicates better performance. Works with any network topology with DHCP and internet access. Scan the QR code on the AP to add it to the Ruijie Cloud. 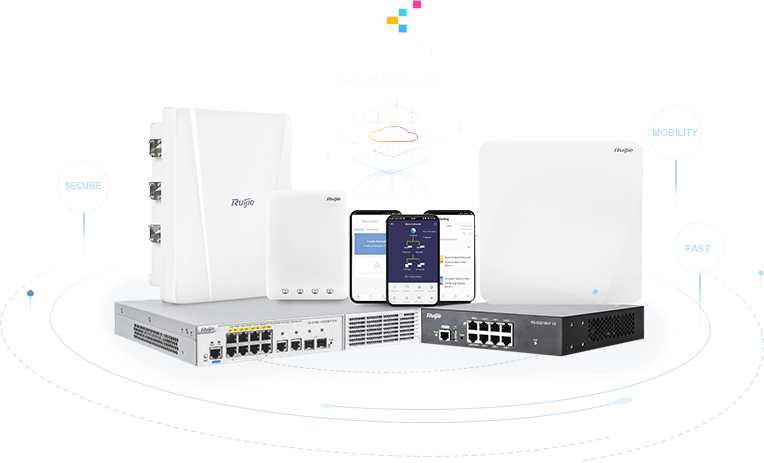 By default, the solution can only discover APs on the same L2 network with the Cloud Key or the station running the UniFi Controller software. L3 support has limitations and requires additional work. With Ruijie PPSK, you now can easily provide different Wi-Fi password for each user. It is tied to individual end user device like laptop or smartphone and the same password can’t be used by others. Possibility of Wi-Fi password leaking out will be eliminated completely. The test report was independently undertaken by Tolly Enterprises, LLC (Tolly). The Tolly Group companies have been delivering world-class IT services for 30 years. Tolly is a leading global provider of third-party validation services for vendors of IT products, components and services. Ruijie paid Tolly to perform the tests.